While mixing weed and beer has always been like walking a tightrope, one NorCal brewery is combining both without the dangers of falling. Is cannabis beer here to stay? Or is it just a fad, capitalizing on marijuana’s growing national support and impending recreational legalization in California? Have you ever poured a beer and thought, “this sort of smells like weed?” Well, it turns out that hops, key to brewing beer, are actually a relative of the cannabis plant. Scientists recently found that hops and pot share similar molecular makeup as they’re in the same genus of plants called Cannabaceae. The similar aromas come from compounds called terpenes, which both plants contain, to create the unique flavor profiles of both brew and bud. Terpenes the two have in common are myrcene, beta-pinene, and alpha-humulene. There’s been a lot of buzz around them in the cannabis industry as more is discovered about their potential influence on the plant’s medicinal benefits. Some craft breweries have been experimenting with developing beers that purposely mimic the flavor of pot. DC Brau’s Smells Like Freedom, Oskar Blues’ Pinner Throwback IPA, and Gull Dam’s Hemp Pilsner all have that distinct cannabis aroma. Gull Dam adds hemp seeds to the mash prior to fermentation in order to create their nutty German Pilsner. The Pinner Throwback IPA combines different types of hops and mash that most closely resemble the taste of weed. Smells Like Freedom was a collaboration with Oskar Blues and tastes similar to the Pinner Throwback. Started in 1993, the Lagunitas Brewing Company is known for their unique California craft takes on classic beers. Their ales, pilsners and stouts all contain around 6% alcohol, a stronger content compared to your typical beers. The brewery, recently acquired by Heineken, is taking the infused trend even further by pairing with AbsoluteXtracts, makers of premium cannabis oil, to create one of the first beers that actually contain cannabis terpenes, as opposed to hemp seeds like Gull Dam’s offering. Their SuperCritical IPA recently debuted at a select number of bars throughout California to rave reviews. “The beer was created using a combination of dozens of terpenes that we isolate and refine during cannabis extraction, and they are what give our strains their unique flavor and sensory profiles,” says Kial Long, Vice President of Marketing for AbsoluteXtracts, in an interview with the Chicago Tribune. SuperCritical clocks in around 6.8% alcohol, a bit hefty compared to more traditional beers with about 5%. Its flavor has been described as grassy with the typical earthy bitterness of an IPA. It finishes with a sticky after note and has a rich, dank odor (sound familiar?). The combination of unique terpene and hop profiles exhibits an eclectic taste that’s recognizable in more ways than one. Cannabis-infused beer isn’t the only adult marijuana beverage on the market. Left Coast Hemp Vodka from Victoria’s Distillers adds hemp seeds during the distilling process, creating a smooth, hazelnut flavor with a hint of spice. Humboldt’s Finest, another cannabis vodka, has more of a traditional weed taste. Melissa Etheridge, who introduced a line of branded cannabis products in 2016, has developed what she refers to as “wine tinctures,” which do contain THC. These tinctures are currently only available for California medical patients. Mary Jane Wines offers a CBD-infused table wine, also exclusively for Cali med card holders. Both hope to expand to other markets. 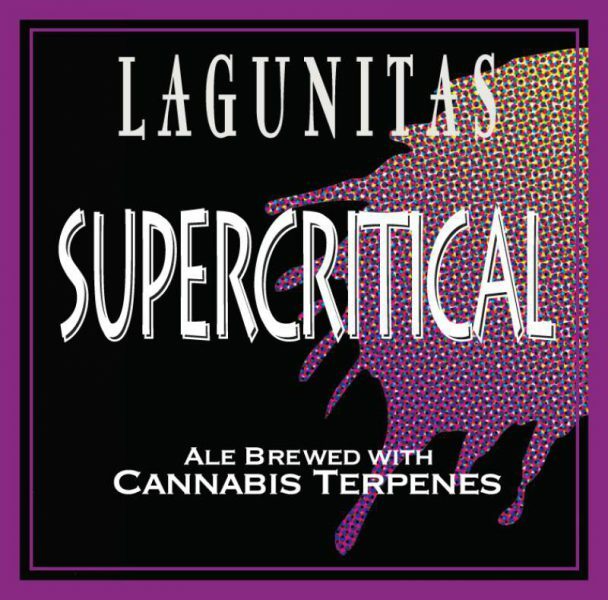 As noted above, SuperCritical does not contain THC—only the beer’s alcohol will have you feeling fuzzy. However, mixing alcohol of any type with cannabis containing THC could lead to trouble. “Crossfading,” a common term for combining the two, is a potentially dangerous practice. It can lead to extreme intoxication, dizziness (aka “the spins”), vomiting, paranoia, and even blackouts. This is due to the to the fact that alcohol is a depressant on the central nervous system and affects motor skills, while marijuana’s THC ingredient directly affects the brain’s cannabinoid receptors and produces cognitive effects, according to an article in Popular Science. Additionally, drinking affects the blood vessels and leads them to absorb more THC than usual. Hemp and cannabis beers, so it seems, are here to stay. 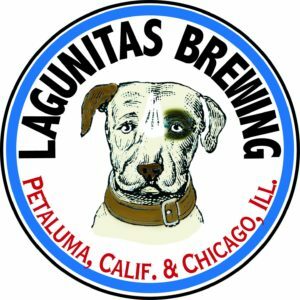 Lagunitas brewed a limited amount of SuperCritical, but are poised to make more should the demand continue. In order to fully pool their resources, AbsoluteXtracts also introduced a line of cartridges with hop terpenes for craft beer fans, specifically Lagunitas drinkers. 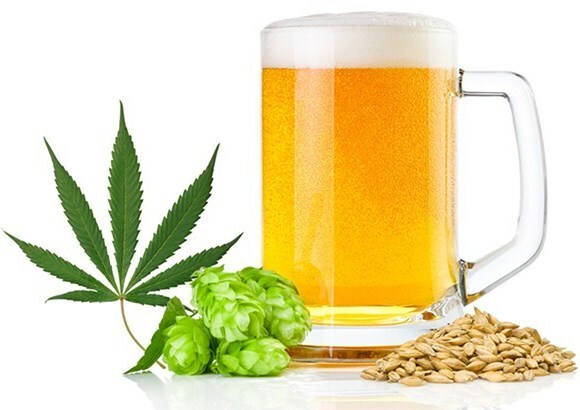 Additionally, Colorado-based Dad and Dude’s Breweria received approval from the Tax and Trade Bureau to distribute their CBD-infused beer nationwide. Fans of both brew and cannabis are seeking ways to enjoy a two-in-one flavor experience. A hoppy, grassy beer with the familiar dank smell of another type of grass can be quite a tasty treat. Will brewers work to find the right balance of THC and alcohol that produces the best flavor and buzz? While SuperCritical IPA doesn’t contain THC, it’s still important to tread lightly when consuming alcohol and weed. Crossfading has the potential to create a risky, unpleasant time and can lead to serious side effects. However, when done correctly cannabis and craft beer can pair quite pleasantly and provide a smooth and aromatic experience.